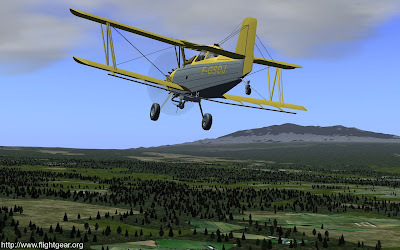 Free and open source Flight Simulator FlightGear has reached yet another release milestone bringing in many new features and fixes. Improved aircraft models and textures. FlightGear has been synced with the JSBSim project. Region-specific terrain textures are used for Europe and Hawaii. Now towns in Europe look different from towns in the USA. Cities and towns now look more populated due to random 3D buildings, complete with lighting at night. Scenery looks more realistic due to improved placement of random objects, buildings and trees. Airport signs are now rendered in 3D, with support for double-sided signs. Full apt.dat 850 syntax is supported. You can now select between summer and winter scenery in-sim. A new flexible, 2D rendering system designed for complex instruments such as CDUs, MFDs, EICAS, HUDs and other glass cockpit interfaces. Canvas allows aircraft designers to easily build complex instruments without needing specialized C++ code. Support for translation of the main menu into languages other than English. A Nasal API is available allowing access to Navigation and route-manager data. 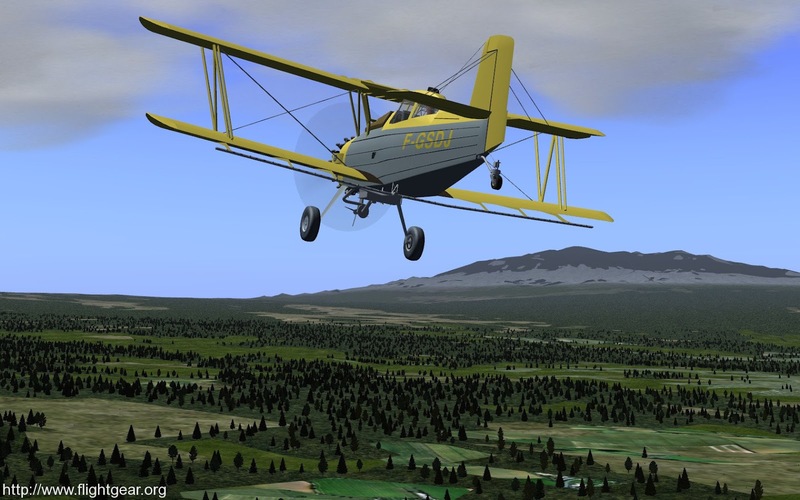 Airwave Xtreme 150: complete new (JSBSim) flight dynamics, new model, advanced pilot animations. Various improvements to our scenery database make it easier than ever to add, delete or update objects to the FlightGear world. The new aircraft download page allows you to easily find quality aircraft, by filtering on status indications. Improved simulation of atmospheric light scattering with terrain haze. An experimental renderer, named after the famous painter Rembrandt, is included for testing purposes. The Rembrandt rendered supports multiple light sources (landing lights, instrument lights), real-time shadows and ambient occlusion across aircraft and scenery for a much more realistic visual experience.